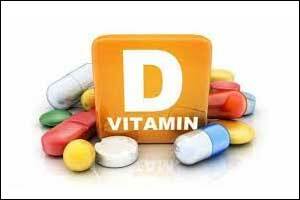 Lower vitamin D levels are found in patients with painful diabetic peripheral neuropathy (DPN) compared to those with painless DPN, patients with diabetes without any neuropathy, and healthy people finds a new study published in the journal Diabetic Medicine. Recent studies have reported an association between low vitamin D levels and diabetic peripheral neuropathy. However, many of these did not differentiate between people with painful diabetic peripheral neuropathy and those with painless diabetic peripheral neuropathy, or assess major confounding factors including sunlight exposure and daily activity. P. Shillo, Diabetes Research Unit, Sheffield Teaching Hospitals NHS Foundation Trust and colleagues addressed these limitations and evaluated vitamin D levels in people with carefully phenotyped diabetic peripheral neuropathy and controls. After adjusting for age, BMI, activity score and sunlight exposure, 25‐hydroxyvitamin D levels (nmol/l) (se) were significantly lower in people with painful diabetic peripheral neuropathy [painful diabetic peripheral neuropathy 34.9 (5.8), healthy volunteers 62.05 (6.7), no diabetic peripheral neuropathy 49.6 (6.1), painless diabetic peripheral neuropathy 53.1 (6.2); ANCOVA P = 0.03]. Direct logistic regression was used to assess the impact of seven independent variables on painful diabetic peripheral neuropathy. Vitamin D was the only independent variable to make a statistically significant contribution to the model with an inverted odds ratio of 1.11. Lower 25‐hydroxyvitamin D levels also correlated with lower cold detection thresholds (r = 0.39, P = 0.02) and subepidermal nerve fibre densities (r = 0.42, P = 0.01). The findings have major clinical significance because painful DPN is distressing and disabling. 25% of DPN patients have pain and most are undiagnosed and suffer in silence because they believe it is just part of the aging process,” he explained. The small proof-of-principle study was a borne out of anecdotal findings that vitamin D supplements or injections are given to patients with painful DPN improved their pain. “Our results demonstrated a significant difference in 25‐hydroxyvitamin D levels in well‐characterized people with painful diabetic peripheral neuropathy while accounting for the main confounding factors. This suggests a possible role for vitamin D in the pathogenesis of painful diabetic peripheral neuropathy. Further prospective and intervention trials are required to prove causality between low vitamin D levels and painful diabetic peripheral neuropathy,” concluded the authors.